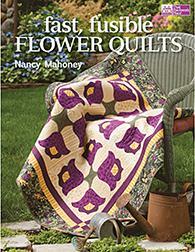 11 easy to piece projects including wall hangings, lap quilts, plus two twinsize quilts. Flower motifs range from dogwoods, daisies, and amaryllis. Full sized patterns are perfect for easy tracing onto fusible web.